Find out more about LivePerson software with customer reviews, ratings, pricing information and frequently asked questions. 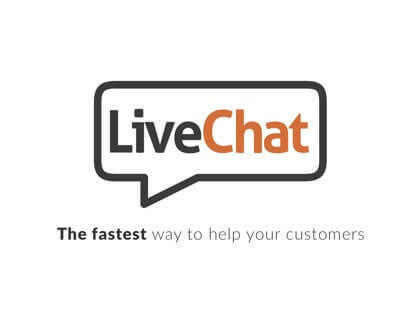 LivePerson is an industry-leading live chat software company. Live Person's communications solutions can streamline business communications internally and externally with messaging apps and chatbots. What is the price range for LivePerson software? LivePerson's monthly plans start at $40.00 per month and go up to $90.00 per month. If you need an Enterprise plan, you can contact LivePerson for a quote via liveperson.net. How do I sign into my LivePerson admin account? You can access your LivePerson login by going to authentication.liveperson.net and entering your administrator credentials. Is it possible to have a LivePerson chat with more than two participants? Since LivePerson's system is so geared towards interacting directly with customers, you can only host two-way chat conversations. Where are the LivePerson Inc. headquarters? LivePerson has offices around the world, but the LivePerson Inc. corporate headquarters are located in New York City, New York. Where can I find LivePerson experts to help me use and understand the LivePerson software? You can hire a LivePerson expert through prestoexperts.com. Experts who are registered on this site have demonstrated extensive skills and experience using LivePerson. If you would like to get paid for your expertise, you can use the LivePerson expert signup on prestoexperts.com to get started. It does take some time to learn how to use this software, but it is very powerful and has definitely added value to our organization. I love being able to answer customers' questions from anywhere with LivePerson. It also helps me to know who is visiting our website. We used LivePerson for quite awhile and didn't have any problems with it. However, we switched because we found another solution that was more affordable. Outstanding customer service! It didn't take very long at all to train our staff. I would give it 5 out of 5, but the reporting feature is cumbersome. It's great that supervisors can chat with agents through the software, but in my experience, customer service was terrible for this product. This platform offers customers a rich communication experience. I wish the administrator dashboard could be customized. I have no complaints! This software is easy to use and it improves my interaction with customers. In terms of live chat software, LivePerson is the best thing out there! Customer support is friendly, but the usability of this product is horrible. Too difficult to use and not responsive enough. The LivePerson platform seems average at best. The software works fine, but customer support is difficult to work with.